Hof Art Space and W District are celebrating an anniversary celebration of His Majesty King Bhumibol Adulyadej of Thailand’s 87th birthday. The live art performing, which gets the inspiration from the King kindness that he always gives to all of Thai people. The first artist is Mr.Chingchai Udomcharoenkij an excellent artist who will show the skill of live drawing which he will use only one left hand and one heart. Next is live oil painting by Jeerapong Khunpaew and the last is a live sculpture, which may take your breath away from a new great artist Sarawut Kummoonchai. 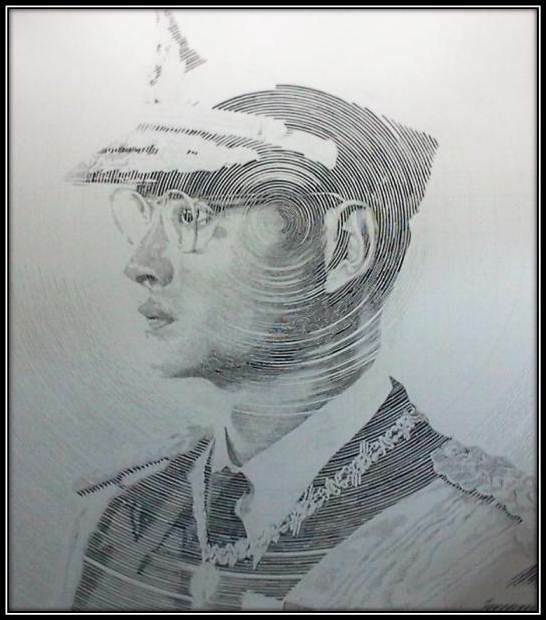 With a challenging that need to reflect how greatest of our father (King Bhumibol Adulyadej) All of the art pieces can be book after finish!